Spider-Man reaches new heights with this Marvel Gallery Spider-Man Statue! Sculpted in 9-inch scale, Spidey stands balanced on one foot atop a New York City rooftop, surveying the city he is sworn to protect! Expand your Marvel universe with the Diamond Select's Marvel Gallery statues (sold separately). 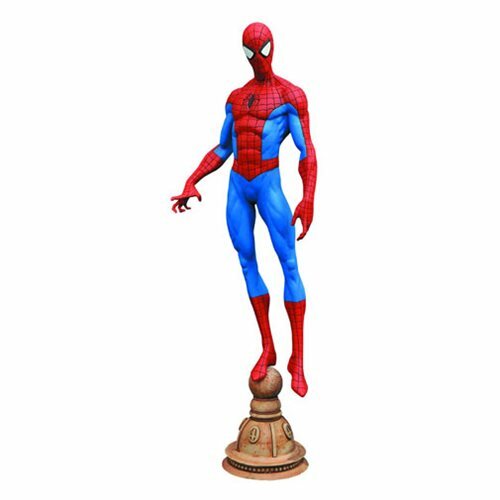 This Marvel Gallery Spider-Man Statue comes packaged in a full-color window box. Ages 14 and up.